If you think of Marvel, chances are the first name you think of is Stan Lee. He has become the face and name most closely affiliated with Marvel and rightfully so. 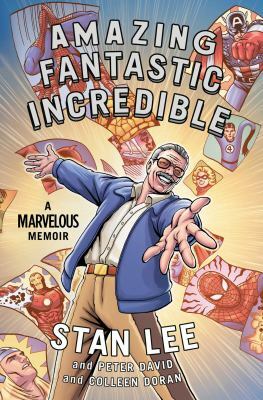 Amazing Fantastic Incredible: A Marvelous Memoir is Stan Lee’s memoir and it’s not like your traditional memoir. This book is a fabulously illustrated graphic memoir done in full color that gives you a birth until present glimpse into the life of Stan Lee. With Marvel just recently celebrating its seventy-fifth anniversary, the release of this graphic novel comes at a high point when Marvel is once again at the center of awareness. Stan Lee is the most legendary name in the history of comic books and this graphic memoir will answer questions about his life and work history that anyone from comic newbie to comic guru may have. Following Lee’s life from a small boy in an apartment to his current venture of traveling and speaking in venues around the world, this book gives readers a glimpse into the life of the comic legend and co-creator of Spider-Man, the Avengers, the Fantastic Four, the Incredible Hulk, and many, many other superheroes. Stan Lee changed the superhero game by insisting his superheroes/villains/other characters were complex characters, dealt with personal issues and used wit in order to give readers more relatable superheroes. 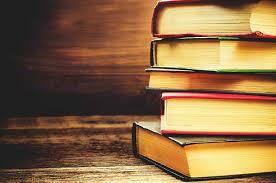 He read other characters as flat portrayals of the age-old story of good vs. evil and wanted to bring out the human qualities of these superhuman heroes. This graphic memoir illustrates the life and times as Stan Lee as he first broke into the comic industry and effectively changed comics as the world knows them today. This book is chock full of advice for writers, readers, illustrators, and anyone else who has a dream that they want to follow, despite what other people may be saying to them. Believing in yourself and not giving up are two of the main themes that are consistent throughout this memoir, reminding readers this through speeches and also through the stories of the superheroes that he created and was able to successfully launch into the mainstream public. Whether you’re a comic fan, love Marvel, or are wanting to learn more, I highly recommend this graphic novel as a look into Stan Lee’s past and the overall history of both Marvel and the cast of superheroes that he created.